MAY 4 Saturday SPRING IN BLOOM!! Mauldin Garden Club's Spring in Bloom will be held at the Cultural Center, 101 East Butler Rd, Mauldin Saturday May 4 from 10am-2pm. June 3 GCGC INVITES YOU TO ENTER “ Not your Mamas Wedding” Standard Flower Show on June 4. Horticulture is to be entered on June 3 only for this event. Entries for designs must be preregistered with Margaret McCarter. Joan Wilson is Chairman of the show. 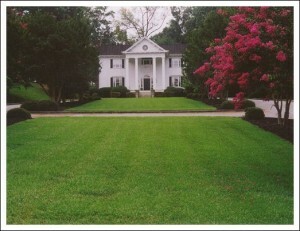 June 4 NGC Flower Show titled “Not Your Mama’s Wedding” will be on display at the Kilgore-Lewis House from 300pm-400pm. This event is free and open to the public. May 10 & 11 “Garden Greenville! The Spring Garden Walk” Nine delightful gardens in the North Main area will be open from 10am-4pm Friday & Saturday. Tickets are $22 in advance by calling the KLH or $25 at the gardens. Children under 18 are free. From tiny front pocket gardens to shady rooms to a farm style plot in the city, all are fun and worth spending a day or 2 to visit.